You’ve overdone the Alps, enjoyed Andorra and the Dolomites, rocketed down the Rockies, beaten Banff’s peaks, conquered Queenstown and perhaps even caught enough snow to make a run or two of Scotland’s Nevis range. So where do you go to get your next snow fix? Asia of course! 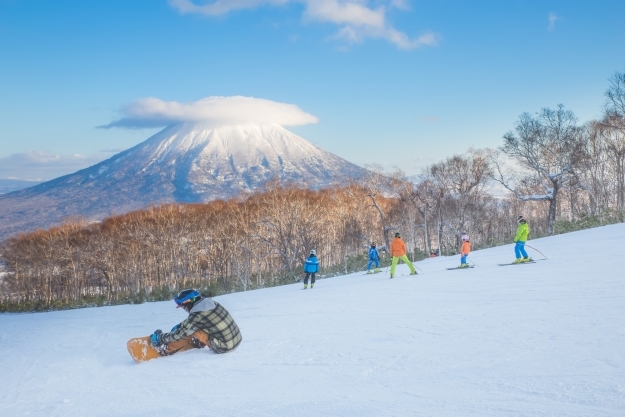 Considering that about three-quarters of Japan is mountainous, it’s no surprise that there are over 500 ski resorts dotted around the main islands, catering for skiers, boarders and families alike. Japan can also boast perfect powder – it really is the best thanks to the Siberian storms that dump up to 14 metres of dry, cold and fluffy snow over the mountains every season. For the best resorts and snow conditions, Hokkaido Island is consistently named as the best. 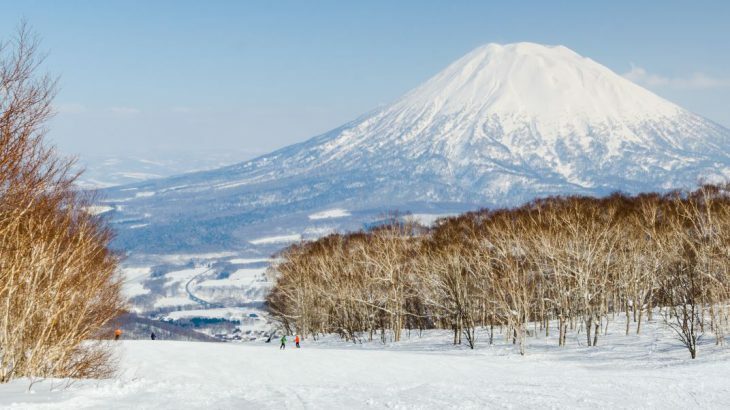 The most popular resort, especially with foreign skiers, is Niseko where the fantastic and varied piste boasts incredible views over the snow-capped volcano, Mount Yotei. There are 800 hectares of runs to explore here and whilst the après ski doesn’t have the ‘joie de vivre’ of Europe, the dining and nightlife scene is fun and diverse. For those looking for a quieter, more intimate ski experience, Japan also boasts a wealth of miniature resorts, some with just a single lift. You’ll find the facilities more basic, but you’ll have the slopes almost to yourself and the scenery consistently beautiful. And for anyone just looking for a taste of Japan’s snow, it is possible to take a day trip to the slopes from Tokyo, and even Mount Fuji has a couple of small resorts. The best thing, though, about staying at a ski resort? The onsens. Most resorts have one at least close by. What better way to relax after a day on the slopes! The most recent hosts of the Winter Olympics, South Korean is bisected by the Taeback Mountains which, thanks to plenty of snow, are perfect for ski resorts! The resorts here are modern and offer lots of choice for all levels of skier and boarder, as well as the option of night skiing. They are also focussed on entertainment, so there’s lots to do if you get snowed-out. Usually there’s a spa or two and some walking trails through the beautiful natural surroundings. Gangwan-do province, where Pyeongchang is located, it particular well-known for slopes and has a handy new high-speed rail link to whip you there from Seoul. The resorts here are high up which means lots of snowfall – particularly fluffy snow for downhill. 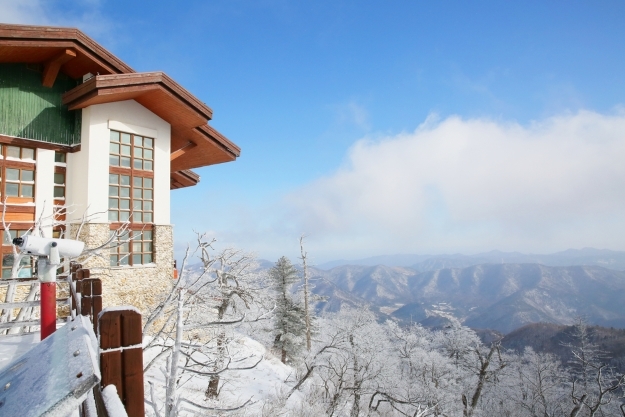 There are also lots of resorts in the lower hills surrounding Seoul, which means a day on the slopes is close by, and some fantastic apres-ski in the city! High1 Ski Resort is high in the mountains, gets plenty of powder, and is one of South Korea’s largest with a wide variety of runs, a good range of hotels and a casino. Yongpyong is a popular option, and has lifts and pistes galore and was one of the resorts used during the Olympics, alongside Alpensia. Alpensia has a vibrant purpose-built ski village with plenty of places to eat and apres, and is a good choice for families. For those who just fancy a day on the slopes during a trip to Seoul, it couldn’t be easier as there are shuttle buses to simply hop on. Naturally, as they are closer to the city, they tend to be busier. The fastest growing player on the ski market, China is well on its way to the Winter Olympics in 2022! From 11 resorts in 1996 to over 500 in 2015, this country has been bitten by the ski bug, which isn’t really a surprise when you realise that China’s northern region has 5 months of optimum ski weather every year. You could even combine skiing with a dose of China’s history and culture, a formula for epic China holidays! As a relative fledging ski nation, most of the resorts here are small, the largest ones offering about 40 kilometres worth of slopes. There are options for all levels of experience, but most places cater more for beginners and families. There are English-speaking instructors for newbies, and plenty of off slope entertainment, such as snowmobiling, tubing, tobogganing and ice-skating. The top ski resort is Yabuli, which is about 100 kilometres from the northern city of Harbin on Yabuli Sun Mountain and easily reached by train. With ample snowfall over the winter, with the snow staying well into spring and has options for skiers of all levels. The resort of Beidahu in Jilin province is draped over two peaks and is the best option for more advanced skiers and boarders, whilst there are also plenty of red and blue runs – all are accessible by lift. Wanlong Ski Resort, which will feature in the 2022 games, is a 4-hour drive from Beijing. At 2,000 metres altitude, the season is long here, but there tends to be a lack of natural snow, but there are lots of slopes for all levels and an extensive lift system. Book an escorted tour to China with the UK’s leading Asia Experts, Wendy Wu Tours, or let us build you a tailormade itinerary, which includes some time of the slopes! Tour or tailormade, we can guarantee you an unforgettable trip. General adventure, sports, top things to see, winter. permalink.